The One Stop Place For All Your Car Breathalyzer Needs! Technology is a wonderful thing, which is why we cannot seem to put it down, literally. Our smartphone dependence is more than an Angry Birds addiction. It’s a reliance on something that keeps us on task, on schedule, and connected to work, family, and friends. That kind of technology is such a part of our lives that we see development in all types of devices these days, including ignition interlock devices. 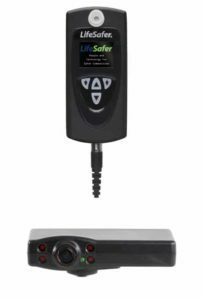 That development has hit Iowa ignition interlocks: soon only camera-equipped devices will be used. Iowa is joining Virginia and other states in requiring all interlocks have cameras enabled. The new camera requirement will be enforced in July 2018, and will increase interlock costs by around $15 per month. Currently, Iowa only requires ignition interlock devices for some OWI offenses, like first-time incidents with a high blood alcohol concentration (BAC). Other offenses that will require the interlock requirement include a second or subsequent OWI offenses, or any incident that causes injury, harm, or death to another person. These tech-loaded interlocks are today’s top tool for preventing any future Iowa OWI offenses, as well as any circumvention attempts. Will Florida Lower its Drunk Driving BAC Limit? Are You Getting Away with a Wisconsin OWI? How Will an Iowa OWI Change Your Life? Do You Know How to Get an Oklahoma DUI?